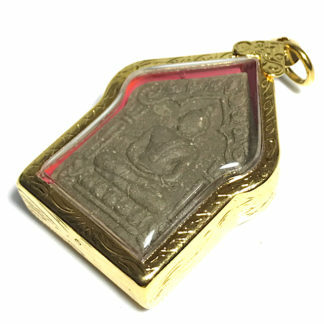 Kumaree female Kumarn Tong Bhūta Ghost effigy in Sacred Prai Powders consecrated in Nam Man Prai Oils, from female Ruesi Hermit Sorceress, Lersini Pakini Kimhant. 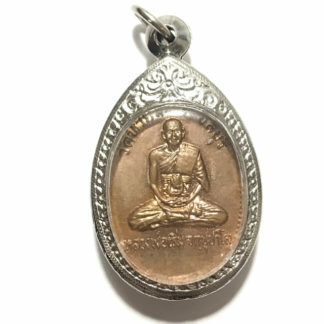 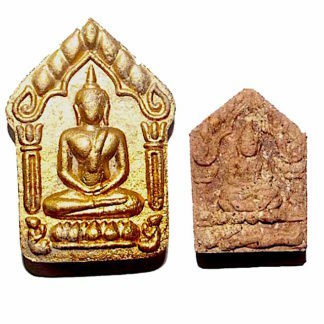 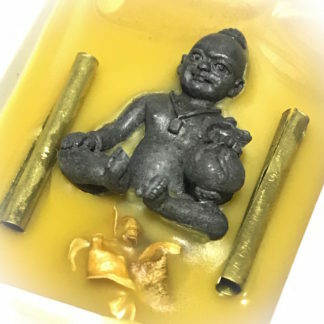 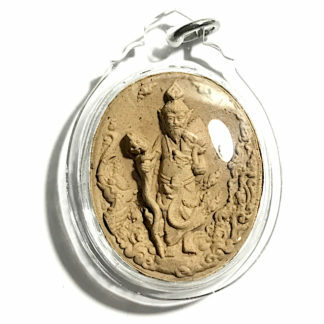 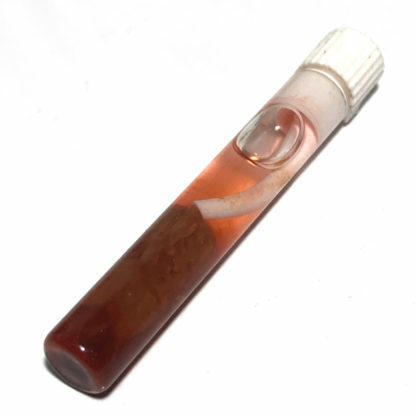 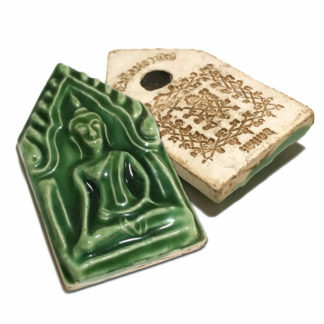 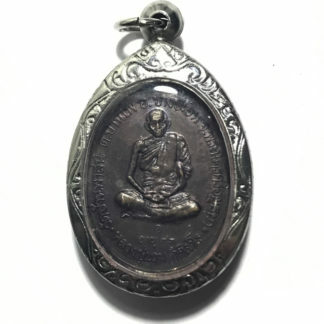 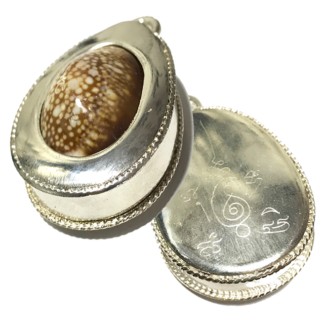 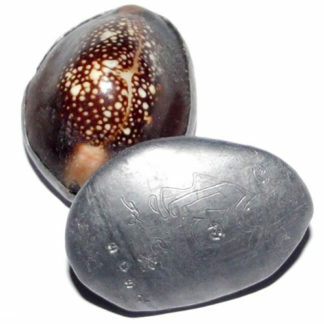 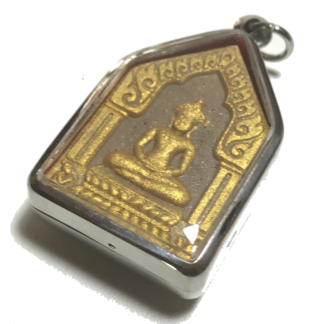 A Potent and Powerful Potion indeed is found within this slim portable phial of Nam Man Prai Oil consecrating a Kumaree effigy within the phial, with the spirit of Nong Hnung Hning, a Hoeng Prai female child ghost, made from Hoeng Prai Ghost and Kumaree Maha Bhūta Powders. 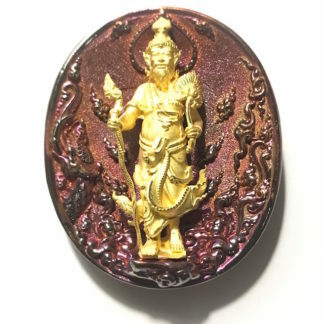 The Kumaree is made from Pong Prai Kumaree female child Hoeng Prai Ghost Powders of Miss Nong Hnung Hning, and Pong Prai Ha Sip Gao Dton 59 Ghost Powders, mixed with Wan Sanaeh Jantr Mooncharm Herb powders, with Pong Wan Dork Tong Golden Flower Pollens, and powders from Sacred Ga Fak Rak, Ga Fak Yom, and Ga Koon Yor Trees. 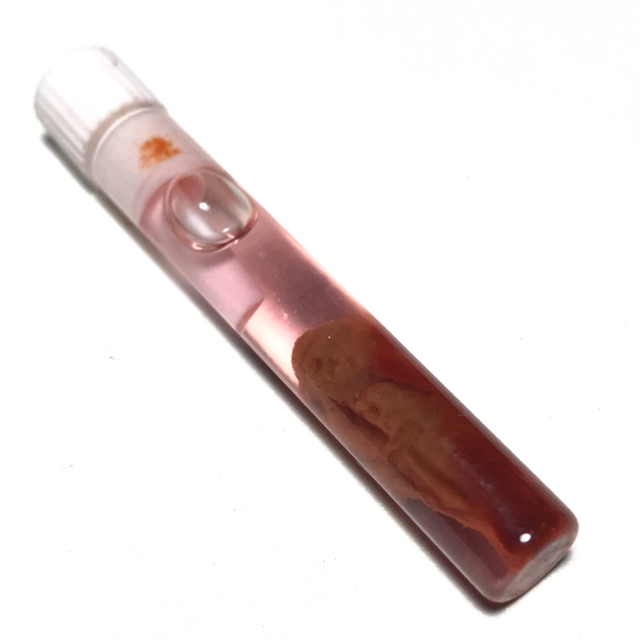 Use as a Bucha item to pray to for wish fulfilment, lottery numbers and protection, or use the oil itself to dab onto your clothes for Seductive Mercy Charm. Dab a tiny bit onto a cup and offer a drink to your targeted person to seduce them. 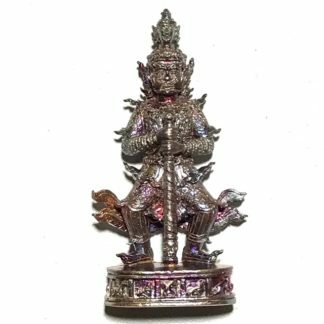 Shopkeepers may dab a tiny bit of the oil onto the entrance, cashtill and the wares in the shop to increase sales and attract customers. 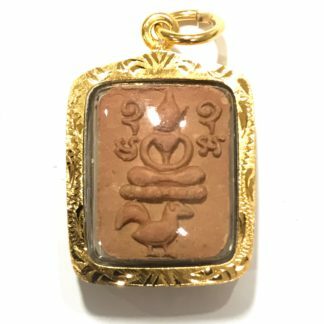 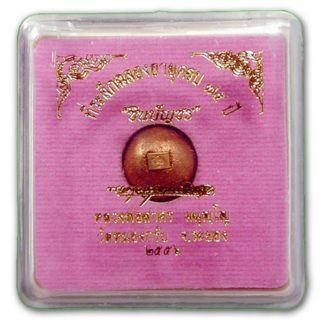 Use the Kata Pluk Kumaree to summon the Kumaree whose mind dwells within the potion, and ask her to assist by making your wishes come true.